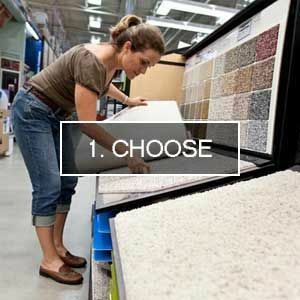 You are spoiled for choice with the wide variety of flooring options at Gray’s Carpets. Based in Warminster, Wiltshire, we are a reputable flooring company that provides all of the appropriate measurements and plans as well as seamless installations and aftercare. 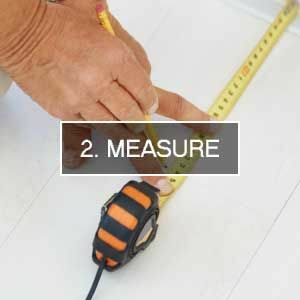 By supplying you with accurate measurements, this ensures that you are given a precise quotation from the beginning. Please take a look at our helpful flooring guide below to gain more of an understanding of our process. Here at Gray’s Carpets, we have a huge selection of flooring including: Carpets - Vinyl - Luxury Vinyl Tiles - Laminate - Engineered Wood - Rugs. These are available in a variety of styles, colours, and pile weights that you can choose either in our store or in the comfort of your home. 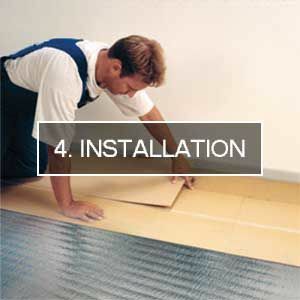 and will assess your needs before providing you with a quotation. Once accurate measurements have been taken, it is time to place your order with us and book an installation time that is convenient for you. This is usually within seven days. This is the most important part of the process. Our team of experienced fitters will take great care in completing the job and work hard to ensure that you are 100% satisfied. Contact our flooring shop in Warminster, Wiltshire, to find out more about purchasing flooring from us. It is easy to measure your room incorrectly. So why not let our dedicated team take care of the work for you? Our experienced team of fitters are renowned for the quality of their work. At Gray’s Carpets, we take care of the whole process for you. It is vital to us that you are happy with your purchase. We are committed to making sure that you are.